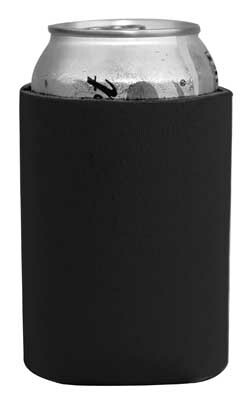 - Liberty Bags 4"x5" Insulated Can Holder. - Keep your drink cold, not your hand. - Jersey knit with foam backing. Liberty Bags 4"x5" Insulated Can Holder. Keep your drink cold, not your hand. Jersey knit with foam backing. Folds flat. Non-branded label/tag. One Size: 4" x 5". Imprint Area: 2" x 2". Colors: Black, Retro Camo, Forest, Hot Pink, Navy, Orange, Purple, Red, Royal, Teal, Yellow.